The University of Oregon will present a special concert celebrating the UO Chamber Choir’s participation in the upcoming Fleischmann International Trophy Competition in Ireland. In addition, premier UO students in the performing arts will appear as part of the Emerging Artists Series showcase. Renowned tubist David T. Fedderly will address the Student Forum of the UO School of Music and Dance, in a free lecture open to the public. Fedderly has held the principal tuba position since joining the Baltimore Symphony Orchestra in 1983, and has performed with many other orchestras. He is on the faculty of the Peabody Conservatory, and for 10 years taught at The Juilliard School, among other institutions. Fedderly is a graduate of Northwestern University. He enjoyed the privilege of studying for ten years with the legendary Arnold Jacobs, former Principal Tuba of the Chicago Symphony and internationally known wind pedagogue. "Saints and Scholars: The Ireland Concert"
Tickets are available at the door or in advance from the UO Ticket Office, 541-346-4363. In early May the award-winning University of Oregon Chamber Choir will compete in the annual Fleischmann International Trophy Competition at the Cork International Choral Festival in Cork, Ireland (the only U.S. representatives in the competition). Help see them off in style! This one-hour performance of the material the choir will present in competition will feature sacred and secular repertoire spanning 400 years, sung in seven languages, with styles as varied as Italian madrigals to bluegrass-influenced gospel, from composers including Monteverdi, Schütz, Debussy, Sydney Guilaume, and Eric William Barnum. "A Canon for the Cosmos"
Part of the UO’s Steve Larson Distinguished Lecture Series. Musicologist Jonathan Kregor of the Cincinnati College-Conservatory of Music, examines the ideologies of canon-formation in the compilation of music for the Voyager Golden Record (1977) by a committee headed by American author Ann Druyan and her future spouse, famed astronomer Carl Sagan. Musical selections from the Voyager Record are considered in light of Carl Sagan’s writings on cosmology, science, and civilization. Kregor's research interests include aesthetics, Franz Liszt, musical reproductions, music and memory, virtuosity and gender, and art songs. He has published articles and reviews in numerous journals; and has given papers at numerous national and international conferences. The Steve Larson Distinguished Lecture series, which honors the spirit of camaraderie and community evident in the career and life of UO music theorist, musicologist, and musician Steve Larson, is a new academic lecture series coordinated by graduate students of the UO School of Music and Dance. Tickets are available at the door or in advance from the UO Ticket Office, 541-346-4363. James Dashow has had commissions, awards, and grants from numerous festivals and foundations, and in 2000, was awarded the prestigious Prix Magistere at the 30th Festival International de Musique et d'Art Sonore Electroacoustiques in Bourges. A pioneer in the field of computer music, Dashow was one of the founders of the Centro di Sonologia Computazionale at the University of Padova, where he composed the first works of computer music in Italy; he has taught at MIT, Princeton University, the Centro para la Difusion di Musica Contemporanea in Madrid and the Musica Viva Festival in Lisbon. In 2011, Dashow was presented with the distinguished career award "Il CEMAT per la Musica" from the Federazione CEMAT (Roma) for his outstanding contributions to electronic music. turnEnsemble, an ensemble of new music, will perform works by local and international composers in duo and group configurations. This concert will feature two works written for turnEnsemble by UO composer Nayla Mehdi and Chicago composer Igor Santos, in addition to works by Salvatore Sciarrino and Paul McGuire. Pianos, guitars, and percussion take the stage alongside chamber strings and woodwinds. The UO School of Music and Dance is pleased to offer the third Emerging Artist Series (EArS) concert. 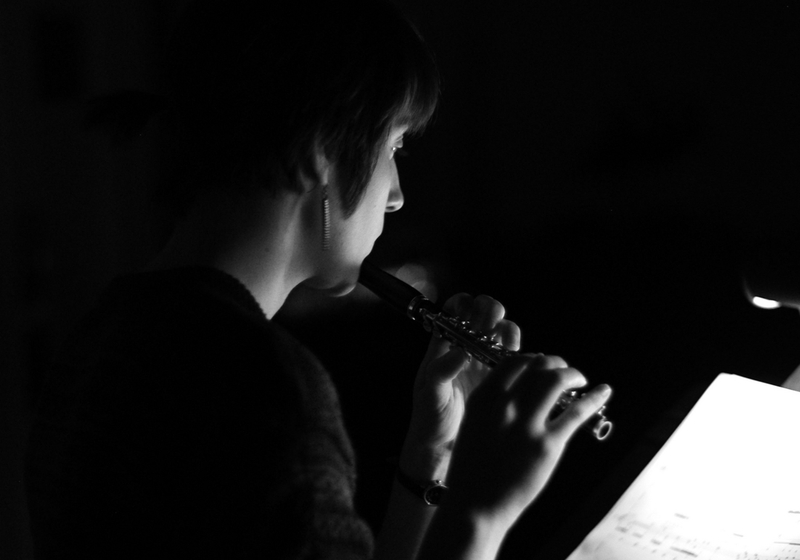 EArS is a premier recital program designed to introduce developing top-flight student performers in music and dance to the UO and to the wider Eugene and Oregon communities. This free concert is open to the public, and is an excellent way for concertgoers to absorb the breadth and depth of the SOMD’s incredible roster of student performers. EArS performers are selected by the performance faculty of the School of Music and Dance.